If you want to become an expert at EZ Horse Betting, you might want to think about adding some horseracing books to your personal library. There are some very excellent books available by noted authors like Andrew Beyer, James Quinn, Steven Crist, and others who have spent years studying the game and learning how to cash tickets. Knowledge is the most important tool in the handicapper’s toolbox. When you visit the racetrack, you are competing against other bettors who believe their knowledge of racing is better than yours. Being smarter than your fellow handicappers and having access to more angles is what will make you a winner in the long term. Another reason to read horseracing books is to increase your passion and appreciation for the game. When you read about the successes of others you will become inspired to become a superior handicapper. You’ll also learn many fascinating things about the Sport of Kings and the horses, jockeys, and trainers who have made it what it is today. There are many places to look for horseracing books. One of the most popular choices is Amazon. You can often find copies of used books which are still in great condition for pennies on the dollar. Another great resource is Abe Books. This company maintains a data base from used booksellers all over the world. Books can be found for $3 or less and shipping is often free. A lot of the very best books on horseracing are out of print, so it is very important that you search out the used bookstores in your local area. It can take some patience and some looking around but the rewards of your search can be very rewarding. 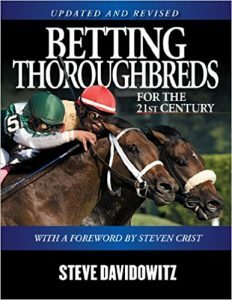 EZ Horse Betting has compiled a list of some of the most popular books that you should add to your handicapping library. We’ve listed them below with a brief synopsis of their content. There are few people that know the game of horseracing better than Andrew Beyer. Beyer revolutionized the whole game when he published his Beyer Speed Figures and described how he came to make them in this iconic work. For the first time, bettors were able to assign a single number to a horse which could reliably indicate how fast the horse was capable of running. By comparing these numbers, bettors could get an idea of which horse in a race had the greatest speed. 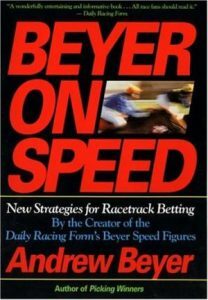 This book was also written by Andrew Beyer and further clarified how the speed figures were to be used. 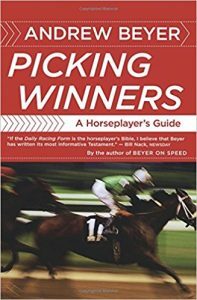 Beyer has also made it possible for bettors to construct their own speed figures by describing his process in extreme detail. The method of creating speed figures includes studying par times and track variants for each track and then using those to establish the overall number. One of the most important elements when it comes to beating the horse races is learning how to manage one’s bankroll. Over they years there have been many systems devised which assist bettors in learning how use their bankroll effectively. 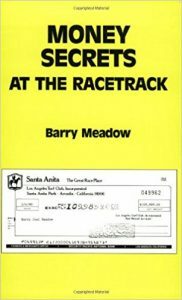 In Money Secrets at the Racetrack, Barry Meadow explores many different ways to manage money and use it to maximum efficiency. Meadow explains how certain percentages of the bankroll should be allocated to certain bets. A smart bettor should reserve funds for straight wagers on win, place, and show bets as well as exotics like the exacta, trifecta, and superfecta. It is also important for bettors to set win and loss limits so that they can keep themselves in the game for longer periods of time. Click here for more. Steven Crist knows a few things about horseracing. Crist founded the Daily Racing Form which is published each day and sold at racetracks all over America. No racing paper presents such an accurate picture of horseracing. What some people do not know is that Crist is also a master of the elusive Pick Six wager. Crist has won hundreds of thousands of dollars betting on this wager which requires a bettor to pick the winner of six individual races. The bet is so hard to win that the carryover often exceeds $1 million dollars at most racetracks. Winning a Pick Six bet can lead to a life changing payout. 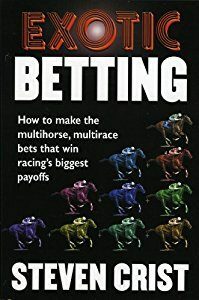 In his book, Crist explains how to craft various ticket combinations that will give you a better chance to win and compete with the big syndicates that get involved when the carryover gets very high. Crist is an expert at something called the “wheel” which involves betting on multiple horses in each race, and he shows you how to do that at a minimum cost. Click here for more. Steven Davidowitz is recognized as one of the most experienced horse bettors in the world. In this book he offers up all of the knowledge he has on the sport and presents it in a book that is mixed with a variety of racing stories that will thrill and excite you. You can read about his adventures with Andrew Beyer as they try to conquer difficult tracks like Saratoga. The above mentioned books are a great place to begin if you want to create your own personalized racing library. You should always been on the lookout when you visit your favorite bookstores for little known books that are hidden away in the sports section.